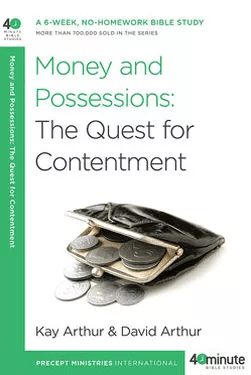 Every Monday night, I get together with two of my friends for a Bible study on money and contentment. We’re on our last week and it’s been incredibly applicable now that I’m running my own business and am self-employed. The principles that I’m learning are being stored away in my heart and I’m already seeing fruit. Believe it or not, I’m finding myself struggling to have the time to do what I truly love – painting furniture. 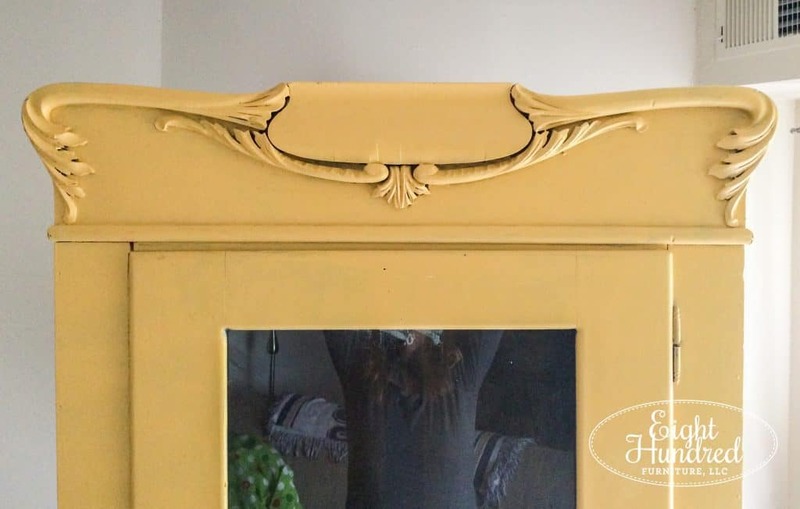 Now that I’m carrying Miss Mustard Seed’s Milk Paint, I’ve been scheduling workshops during every free moment and while it’s good to teach others how to use Milk Paint, I’m starting to feel over-scheduled. All of the driving and running and doing and planning is catching up to me. The extra money is welcomed but all of the workshops are breaking my days up so that I can’t paint. I sell my pieces at three different locations, and I feel like I’ve been neglecting two of the three. There are two pieces in my living room right now, staring at me as I write. After a quick glance at my calendar, I’m not sure when I’m going to be able to get to them. Maybe next week? Marc has been so kind in helping me prioritize, shuffle furniture around, and talk me off the ledge when I feel overwhelmed. (In case you didn’t know, it’s not possible to run your own business without the help and support of others.) Despite my lack of time to paint at the moment, I do have loose plans for my two “pieces in waiting”. 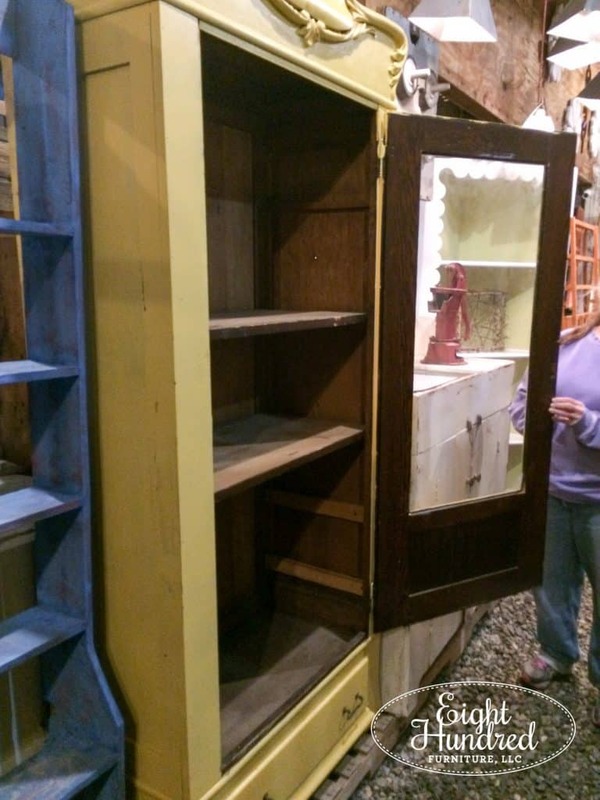 The first is a beautiful depression era dresser. It’s missing pieces of trim here and there but overall, it’s a sturdy blank canvas. 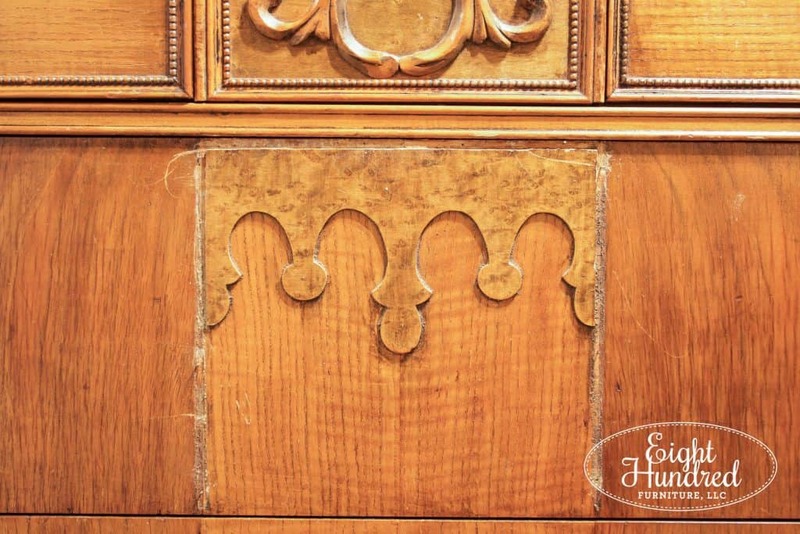 Here’s a close up of that detail on the first long drawer. It has beautiful bird’s eye maple veneer, but can you see the missing beaded trim? I wound up chipping those off and I scuffed the entire piece to give it some tooth. It’s currently waiting for the next step – paint. 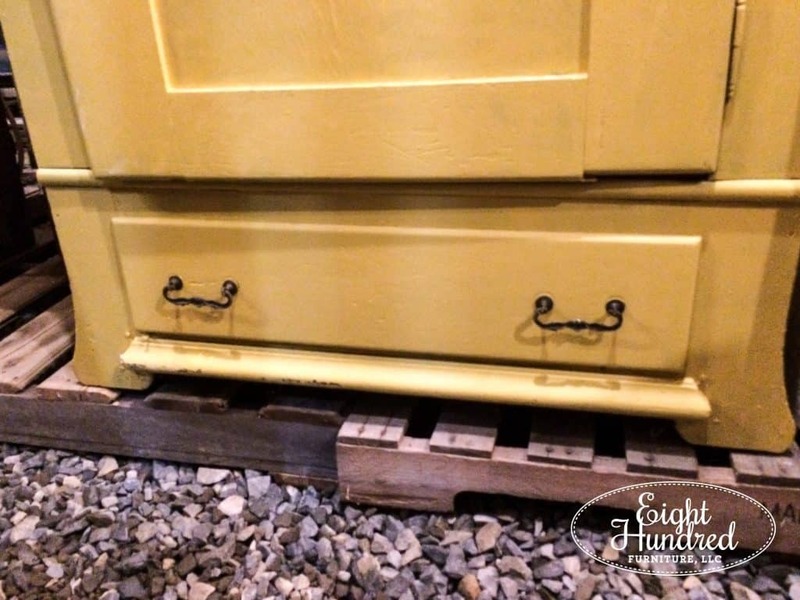 My vision for this dresser is Trophy Milk Paint. That’s about as far as I’ve gotten. 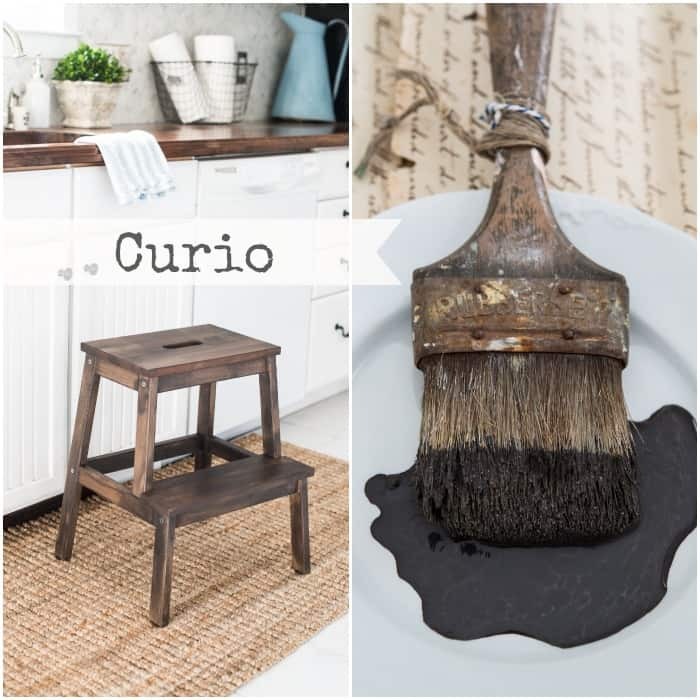 I’m not sure if I want to use Antiquing Wax or White Wax as my finish, or if I want to restore the wood top or paint it. For now, all I have is Trophy. 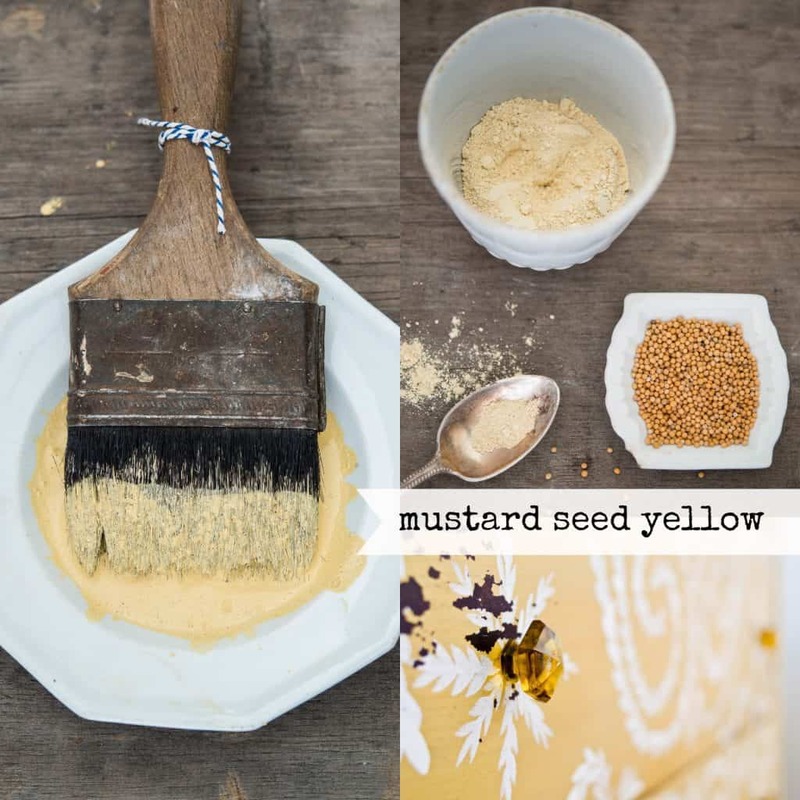 Here’s inspiration from Miss Mustard Seed herself. 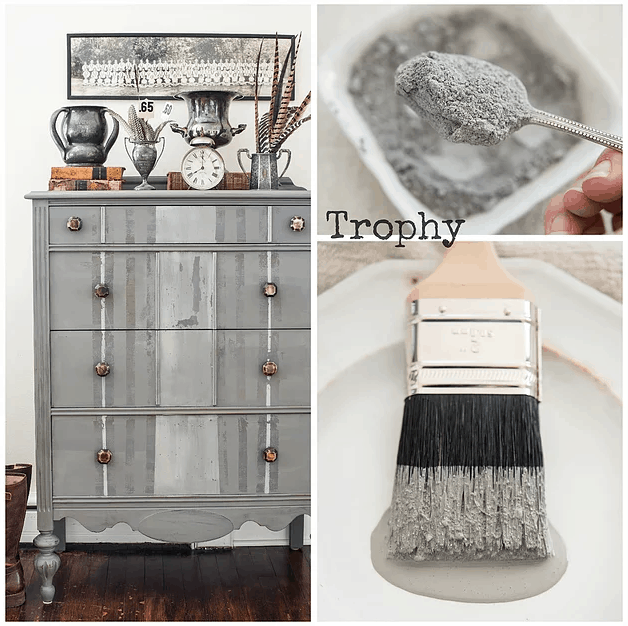 She painted a depression era dresser to debut Trophy. 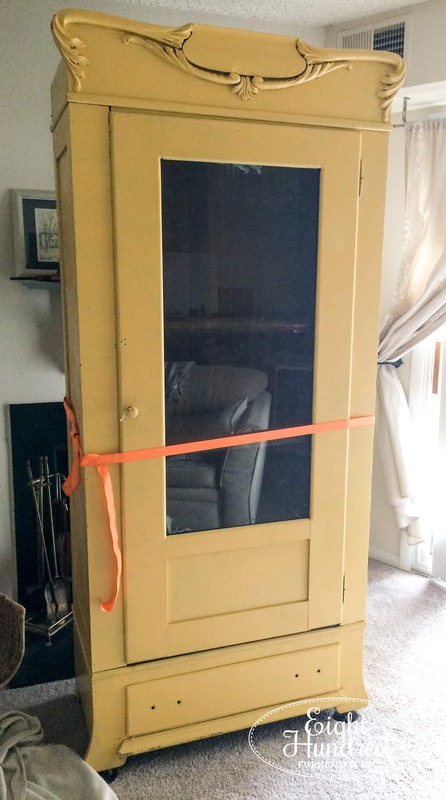 My second “project in waiting” is a seven foot tall behemoth of a cupboard. It was nestled among a few other fabulous pieces at Cricket’s Antiques and Garden Market in Glenmoore. I’ve been eyeing it up for months, and at the last Girl’s Night Out, it was 15% off. That was just the incentive I need to pull the trigger. The door is a bit crooked too. 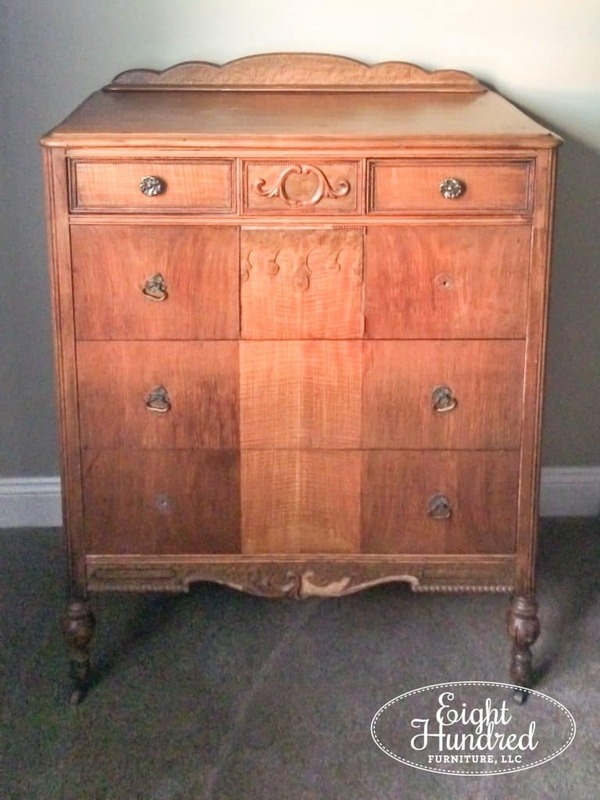 Despite its wonkiness, the original handles are on the bottom drawer, the glass in the door is super thick and old, and the crowning glory is the top. It’s missing two shelves on the inside. I’m digging the color of this cupboard as is. While it may look like it’s good to go, the paint is uneven. There are holes that need to be plugged up and the paint needs to be refreshed overall. Plus, the door doesn’t stay closed hence the bright orange ratchet strap. 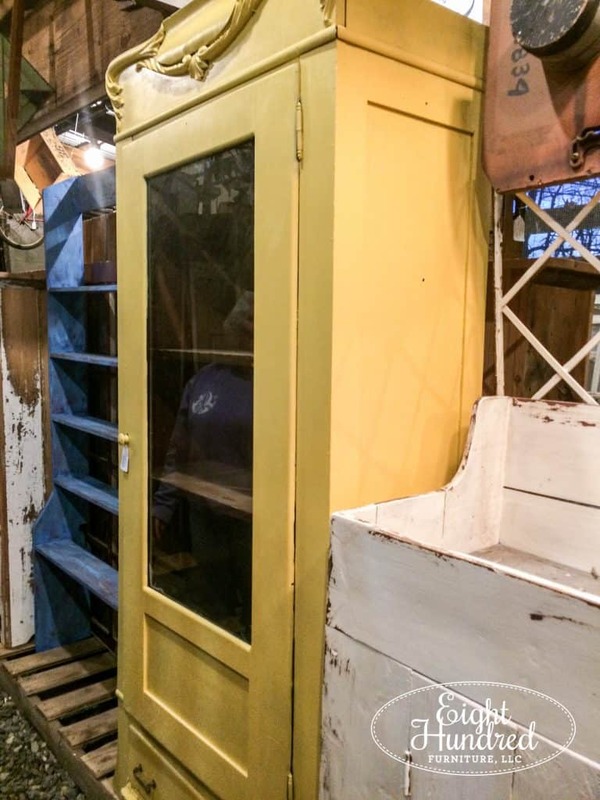 I’m planning on refreshing it with a few coats of Mustard Seed Yellow. Marc and I installed new shelves this weekend, and they stand out against the old original wood. I’m thinking about staining the inside with Curio to make it as uniform as possible. I like the look of a warm wood interior because it makes the yellow pop more. For now, these two beauties will have to wait until my schedule frees up. I need to be more diligent to keep more of my days open so I have uninterrupted blocks of time for painting. This lesson is one of many that I’m learning in this journey of being a business owner. Keeping your priorities in order will be a moving target and a constant process, but it’s good to know that it doesn’t take me long to figure out when they’re out of whack. How about you? Have you ever felt like you didn’t have time for the things you love? Have you over-scheduled yourself lately? Have any advice? Hopefully I’ll be able to share a makeover with you soon!